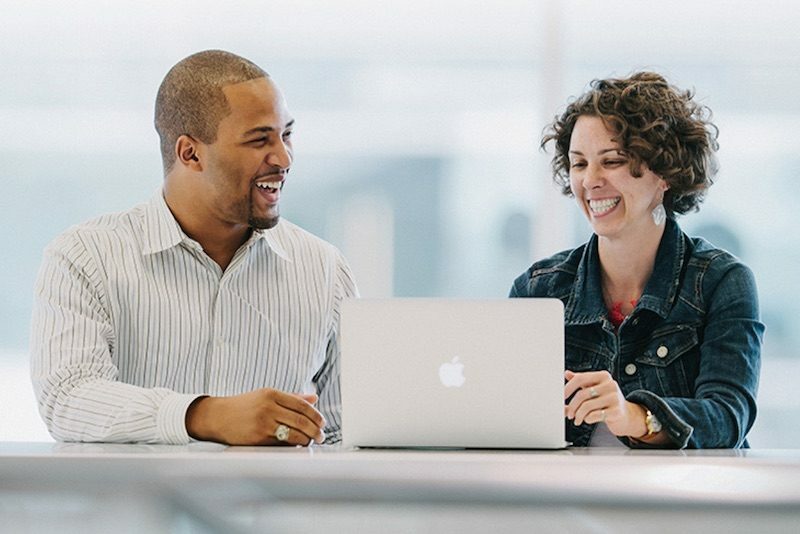 Apple has ranked 84th on Glassdoor's annual list of the best companies to work for in the United States, after finishing no lower than 36th every year since 2009. In fact, heading into 2012, Apple was 10th on the same list. Apple trailed well behind several other technology companies in the rankings, including first-place Facebook, fifth-place Google, 21st-place LinkedIn, 31st-place Adobe, 39th-place Microsoft, and 65th-place Yahoo. It's not just technology companies that are on the list, with fast food chain In-N-Out Burger and Southwest Airlines among others that made the cut. Glassdoor said the rankings are based on its proprietary awards algorithm, which calculated the quantity, quality, and consistency of company reviews submitted by employees between November 1, 2016 and October 22, 2017. Apple earned a 4.3-star rating out of five during that period, compared to Facebook's leading 4.6-star rating. Glassdoor says the average company rating is 3.3 stars among the more than 700,000 employers reviewed on the jobs site. Apple has an overall 4.0-star rating on its Glassdoor company profile. Apple CEO Tim Cook was ranked the 53rd best CEO of an American company on Glassdoor last year, with a 93 percent approval rating. The rankings mirror a recent survey of the most ideal employers for tech professionals in the United States, in which Apple ranked fourth, behind Google, Amazon, and Microsoft. In that survey, however, Apple was ahead of Facebook. We've reached out to Apple to see if the company has any comment about the results, and we'll update this article if we hear back. I visited Apple's campus in SF a few months ago (during WWDC) and met up with a designer who had worked there for over a year. I was surprised to learn that his work phone was an old scrappy iPhone 5C, and that workers at Apple are never prioritized for getting the latest gear to do their work on. We headed over to Café Macs where I was again surprised to see that every worker had to pay for a simple coffee, as if it would have been a commercial café. I would have expected free snacks, drinks, coffee and meals for working at such a successful company and I don't understand the nickel-and-diming here. I know that the work culture in the US is a bit different than where I'm from (Sweden), but it really tarnished my idea of Apple as a "magical/amazing" place to work at. It felt very cold and big-corporate. In contrast, I've visited the Spotify HQ here in Stockholm and you have access to free coffee, snacks, nuts, protein bars, catered meals, salads, sandwiches, drinks, sodas, energy drinks, etc 24/7 at no charge, you get the latest mid-high specced Macbook Pro and iPhone Plus/X, etc. I don't understand why the wealthiest company in the world can't supply proper tools and coffee & snacks to the people on which their success is built on. Maybe these are silly remarks. But it really gave me the feeling that working at Apple is not a very great experience and that you're not really cared for as an employee. Many people from the outside want in. But, keep in mind why companies build HQ's like Apple - the expectation to work 24/7 and force work becoming your life. You couldn't pay me enough to work there. Trying to enforce a PC culture does not bring out the best in your workforce. I still believe you get the best out of people if they fight what they believe in, even if that results in debates that are perceived at conflict, as long as its constructive, you get better products. The open planning setup is what really puts me off the HQ. Its terrible in practice, my opinion. Agreed. The tech company I work for has it and it's horrible. In addition to the productivity issues, it has caused some HR problems as well having everyone out in the open. Oh this. So much this. The people who designed "open workplaces" should be forced to work in it 24/7 to see how it feels. Have you ever worked at Apple? I bet you haven’t. You’re not talking from experience. PC culture has zero to do with why they are where they are. Relentless seeking of profits, demanding employees work holidays instead of hiring more people, people never getting the raise they deserve because of quotas, lack of upward mobility, hiring from outside their stores for management positions, lack luster products that cost a fortune for employees to purchase and so many more reasons are why they are where they are. PC culture is not why they are down. These rankings should be taken with a grain of salt, even when they are good. "Proprietary algorithm" is code for "we don't know and take our best guess to represent the voices of thousands of people." In practice, those who espouse "Tolerance", are quite intolerant to anyone who disagrees with them. If Tim could manage to get Apple OUT OF POLITICS (much like Jobs did); and instead of focusing on all that energy on product development, perfecting the OS, and creating better support and environment than the competition, they would not only improve their sales, but accelerate the growth across the market. Then focus on supporting the Mac Pro, which was a very well received, expensive desktop; and take the Mac Mini back to the 2012 design - so people have the option to increase the DDR3 RAM, add a second hard drive. The 2012 i5/i7 Mac Mini can easily be modified to be much more powerful than the top of the line 2015 Model - and this is ridiculous. Of course! The only time any ranking system, analyst or other entity is right is when they are ranking some positive aspect of something and puts Apple #1. If Apple is not #1, the entity doing the placement is entirely wrong, taking payola, suspect and so on. We'll even readily flip flop faulting an entity when Apple is not #1 and praising them and/or offering them up as examples in other threads when the same ranks Apple #1. Consumer Reports is one that is particularly standout if anyone knows how they work. They are so right when they are praising Apple and so wrong/suspect/"need to alter their methodology" (more favorable to Apple) when they are panning something from Apple... or even not ranking that something #1 with mostly praise. Yeah, I imagine all the mistakes they’ve made in their software lately don’t help, either.